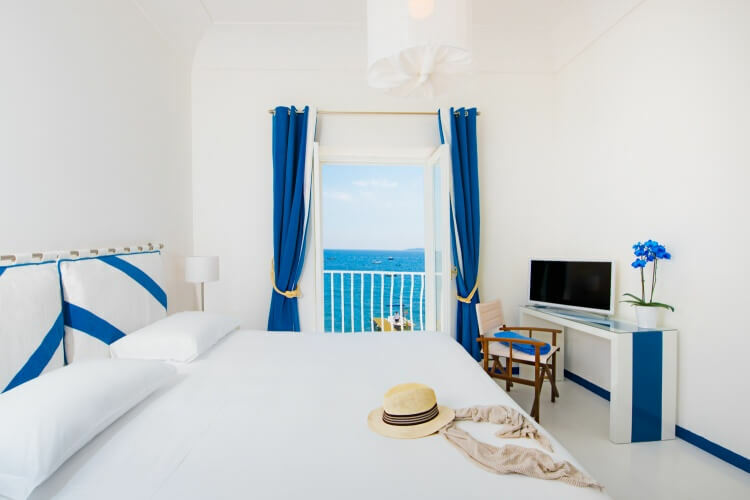 The rooms at Villa Treville Beach Club ensure guests a stay away from the chaos that animates the center of Positano The exclusivity of a place where the sound and smells of the sea are intertwined and amplify, creating an atmosphere of absolute serenity. 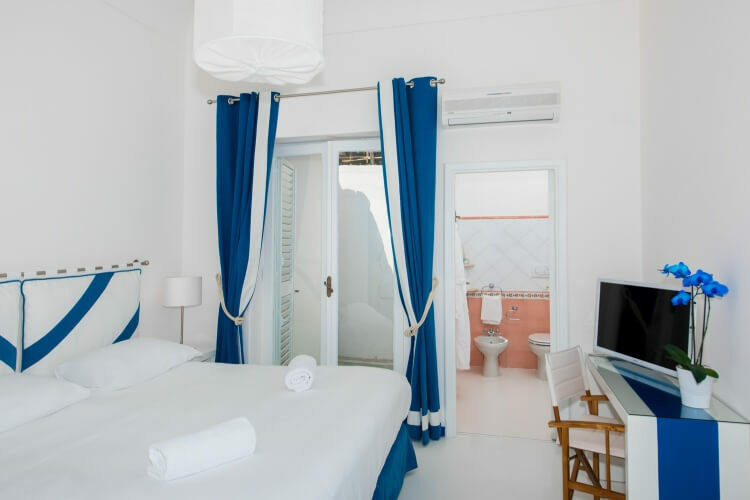 The interiors, pay homage to our ancient Greek heritage of blue and white with a touch of Positano beach chic. 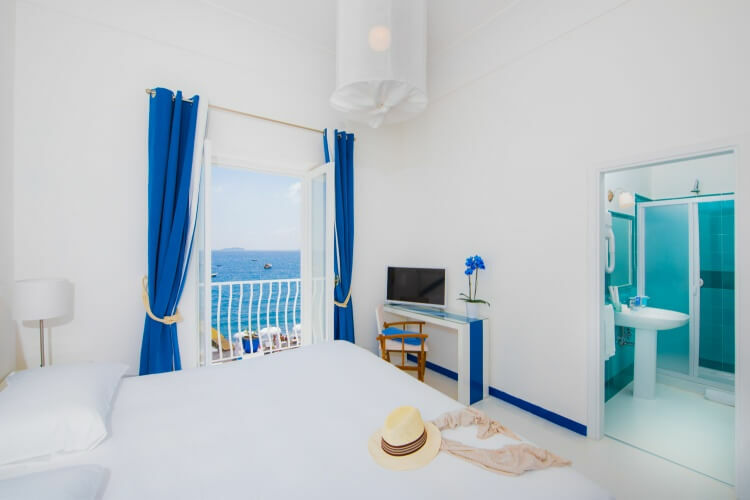 Each room features a range of amenities: television, telephone, wi–fi, balconies for the seaview rooms, breakfast, boat shuttle service (available 24 hours a day). Our guests enjoy beach services such as sunbeds, umbrellas and beach towels. First row, bean bags, and cabanas at an additional charge.